Enter To Win A Week Long Holiday ~ We Are Giving Away 2 Resort Vacation Certificates! 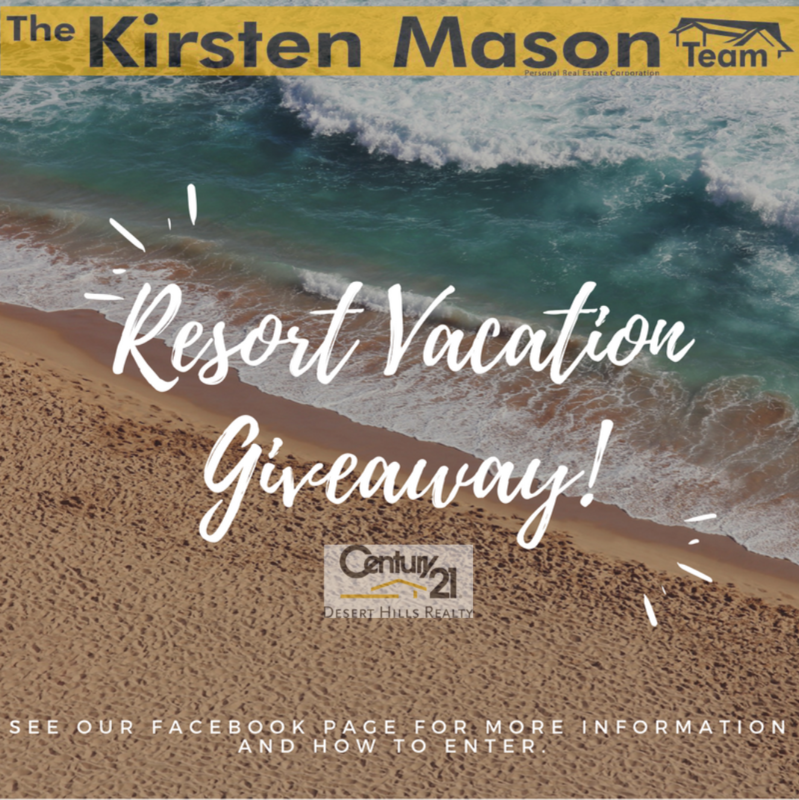 The Kirsten Mason Team at Century 21 Desert Hills Realty is presently running a contest to win one (1) of two (2) Resort Vacation Certificates plus $100 spending credit. The contest will run until May 31st, 2018 at 11:59pm. Information is included below with instructions on how to enter our great contest! 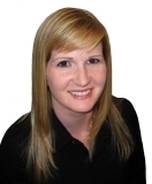 Like our page Team page – any team member of the Kirsten Mason Team! It is that easy! 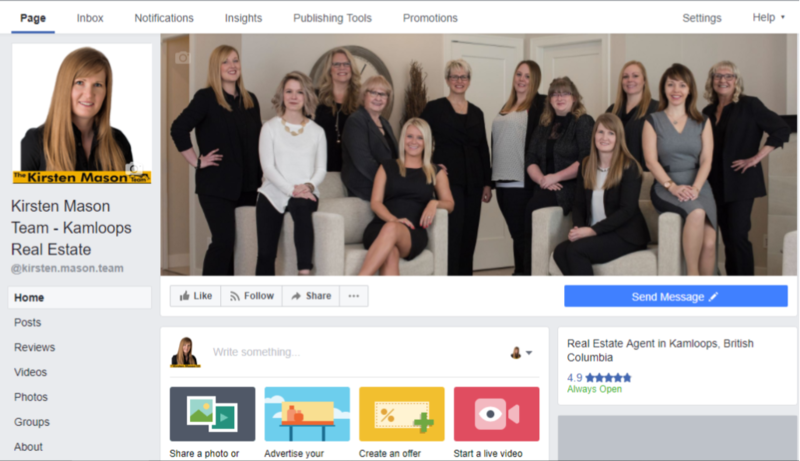 Visit The Team Members on Facebook! Angela Boys, Becky Duffy, Jennifer McQueen, Karey Tate, Lisa Villamo, Meryl Grant, Patsy Skene and Trudy Dagere. – Only One (1) entry per person. – You must be 18 years or older to enter. – Contest only open to Canadian Residents. – Past and Current clients qualify for two (2) entries. You must have purchased or sold a home with a member of the Kirsten Mason Team to qualify OR are presently working with a member of the Kirsten Mason Team. You must contact your Agent on the Kirsten Mason Team to receive your second entry. – Certificate must be redeemed and accommodations must be booked before the Expiration Date (Book by Date) on your certificate. You may be able to search for accommodations up to 12 months in advance depending on the certificate type. Travel must be completed within 12 months from the date you booked the accommodation. – With a Resort Vacation Certificate the program offers a world of vacation options in desirable locations across six continents, so everyone can find a destination that speaks to them. Some of our most popular locations include Orlando, FL; Branson, MO; Myrtle Beach, SC; Puerta Vallarta, Mexico and Canadian Rockies, Canada. – Destinations and travel times are subject to availability and confirmed on a first come, first served basis. Offer includes only accommodations and specifically excludes travel cost and other expenses that may be incurred. Promotional discounts and offers may not apply to all properties. Offer may not be combined with any other promotion, discount, or coupon. Other restrictions may apply. Offer void where prohibited by law. Some resorts require that an all-inclusive fee be paid. Additional taxes may apply. – Resort Vacation Certificates are redeemable for a 7 night stay at vacation rental properties worldwide designed to be used for off-peak travel, although accommodations may be available throughout the year. Peak seasons can vary according to destinations and dates. All accommodations have a fixed check-in day. Our inventory is an aggregation of diverse vacation rental properties from leading property management companies, developers, condominium and housing associations around the world and range from studio apartments and resort condos to 2+ bedrooms single-family homes, villas and cottages. Many offer living rooms, dining rooms, fully-equipped kitchens and laundry facilities. – For an additional dollar amount, typically ranging from $220 USD to $1,400 USD, you may be able to access additional inventory and reserve a one week (7 nights) stay for a higher redemption fee depending upon the property and dates selected. The upgrade fee is for the entire week, not per night or per person. IMPORTANT: Peak seasons can vary according to date and destination. – To receive the $100 spending credit you must send confirmation in writing from your booked holiday (by email or mail). Contact us anytime to get more information regarding this contest or Kamloops Real Estate. 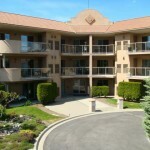 Kamloops has a number of 45+ adult and seniors living complexes and gated communities. 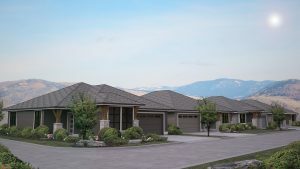 Most Seniors living is comprised of apartment or condominium living although there are a couple of townhouse developments, bare land developments (detached units) and mobile home parks dedicated to the 45+ age group. 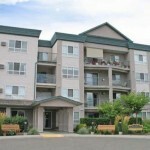 Here is a list of complexes that specialize in 45+ through to 55+ living in Kamloops. Desmond Manor: 840 Desmond Street: This seniors orientated townhouse development is located with in minutes of shopping and transportation. Each unit is self contained with a parking stall out front. Pets are allowed in this complex. Most units are two bedrooms and one bathroom with over 1,000 square feet of living space on one level. This is a smaller strata with only 7 units in total. 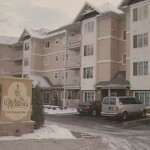 Orchard Court: 860 Nicolani Drive: This seniors orientated complex is located in a nice area of Brocklehurst. It is close to transportation, shopping and McArthur Island. There is an admittance intercom, elevator, community room and secure parking. Included with each unit is a enclosed garage or carport. The strata fees include digital cable. There is a rental restriction and one cat or one dog is allowed. Ashley Court: 338 Nicola Street: This sought after complex is centrally located. There is an admittance intercom, secure parking, an elevator, community room and is suitable for the disabled. There are no rentals or pets allowed in this complex. 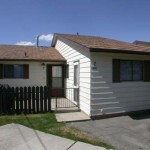 Units in this building consist of one bedroom, one bathroom to the larger two bedroom two bathroom. Desert Gardens: 554 Seymour Street: This very popular complex has a seniors’ community centre that holds daily activities and clubs. The complex also features secure parking, an elevator and is suitable for the disabled. Units range in size from a one bedroom with one bathroom, to a larger two bedroom and a den with two bathroom unit. Pets are allowed with restrictions. Manor House: 360 Battle Street: This 55+ Seniors orientated complex is in a great location, walking distance to numerous down town activities including the YMCA/YWCA. There is secure parking, admittance intercom and an elevator. There is also a community room for activities. The units in this complex range in size from a one bedroom, one bathroom to three bedroom two bathroom units. There are no pets or rentals are allowed in this complex. 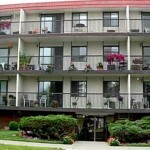 Windsor Apartments: 411 Nicola Street: This seniors complex is close to all downtown amenities. There is secure parking, an elevator, a fitness facility, a sauna, a whirlpool and admittance intercom. Units range in size from one bedroom, one bathroom to two bedrooms and two bathrooms. There are no rentals or pets allowed in this complex. To view all the homes for sale in this area click here. 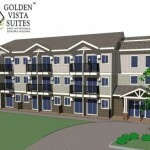 Golden Vista Suites: 375 Cherry Avenue: This is a brand new seniors development in North Kamloops close to shopping, medical clinics and transportation. 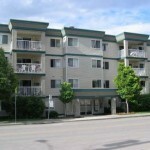 This 46 unit strata consists of modern studio and one bedroom suites. There is a common community room and patio in this complex for the residents to enjoy as well as admittance intercom and elevator. 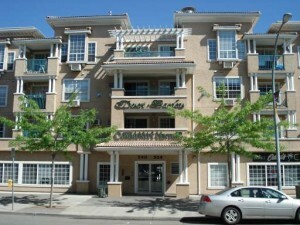 The Willows: 120 Vernon Avenue: This complex is located very close to shopping, transportation and medical clinics. Units range in size from one bedroom to two bedrooms and include storage lockers. Pets are allowed with restrictions. This complex has an admittance intercom and an elevator. 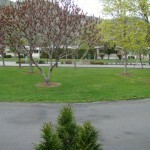 Riverdale Mobile Home Park: North Kamloops: This is a popular 55+ park for seniors. Close to downtown, transportation, walking trails and shopping. To view all the homes for sale in these areas click here. 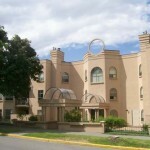 Curlew Gardens: 1975 Curlew Road: This seniors 55+ townhouse development is centrally located in Valleyview. Each unit has an open design with two bedrooms and two bathrooms on the main floor with nearly 1,200 square feet of living space and a full basement. There is also an enclosed single garage. There are no pets and restricted rentals are allowed in this complex. There is RV parking. Valleyview Place: 2169 Flamingo Drive: This centrally located Valleyview complex is within walking distance of shopping and transportation. There is an admittance intercom, elevator, extra storage and secure parking. The units range in size from one bedroom, one bathroom to a larger two bedroom two bathroom layout. There are rental and pet restrictions in this complex. This complex is located steps from Save-on-foods, Shoppers Drug Mart and a number of other shopping and professional offices. Sienna Ridge @ 641 Shuswap Road East. This is a new development that will be fully gated and is a 45+ community. Each home is fully detached with a double garage and level entry. Click here to view more info about this property. Oakdale Mobile Home Park: 2400 Oakdale Way: This park is split into two sections, the family section and seniors 55+ section. 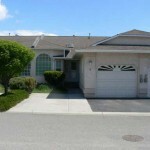 The Oakdale Park is very well maintained sought after park. It is situated close to the rivers trail and transportation. Homes in this park range in size from smaller single wide modular homes to larger double wide homes. Each home is on a small piece of property and usually has some private yard space. 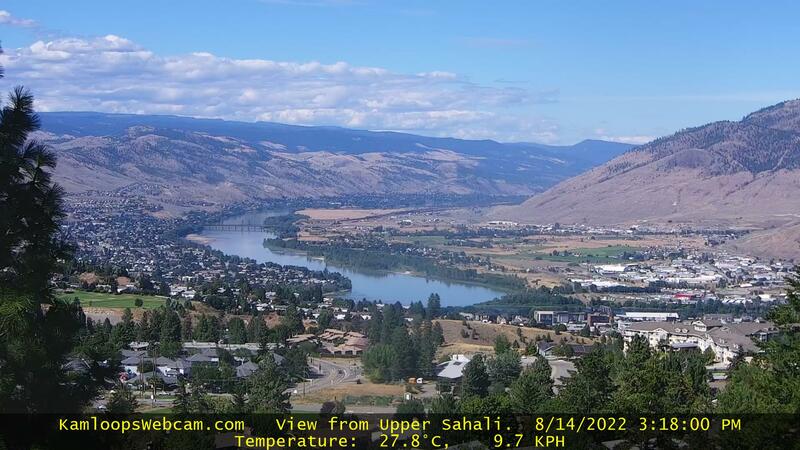 To view all the homes for sale in the Kamloops area click here. If you are looking for opportunities to purchase in other seniors facilities such as Riverbend, Berwick on the Park, Kamloops Seniors Village or Ponderosa Place contact the facility direct as these properties are not listed for sale on the MLS®. Canada Mortgage and Housing Corporation will no longer offer mortgage insurance on second homes, the crown corporation said on Friday. It will also discontinue selling mortgage insurance to self-employed people without third-party income validation. The new limitations mean borrowers will also no longer be able to act as co-borrowers on other applications. These changes, which will take effect on May 30, are part of the ongoing review of the mortgage loan insurance business. CMHC said self-employed Canadians can still qualify for insured financing with a validation of their income using traditional methods. As well, the two products will still be available to those who submit requests prior to May 30, regardless of the closing date of the home purchase. CMHC said these two products account for less than three per cent of its insured business volumes in units. “Given the limited use of these products, their discontinuation is not expected to have a material impact on the housing market,” CMHC said in its release. The changes come as Canadian home buyers face an increase in mortgage insurance premiums. In February, CMHC announced it would hike premiums for default insurance by an average of 15 per cent effective May 1. The increase would hit buyers who have a downpayment of less than 20 per cent.